In this tutorial you are going to learn how to download and install Windows 7 Registry Cleaner. 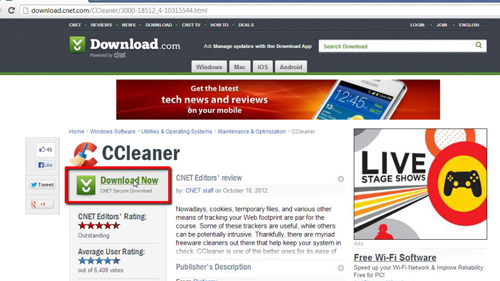 Go to “download.cnet.com/CCleaner/3000-18512_4-10315544.html.” Click the green button which says “Download Now CNet Secure Download.” Once you do, you should be taken to a page where the download begins automatically. Click on the file which says “ccsetup403.exe” in your lower left browser window. Click “Yes” in the “User Account Control” box which opens. After a few seconds, a box will open on your screen called “Welcome to the CCleaner v4.03 Setup.” These version numbers might change in the future, but the install process should be largely the same. 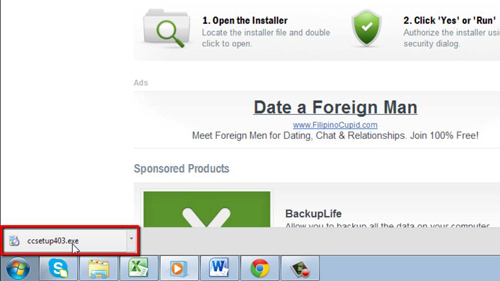 On the bottom of this window, select your language and click “Next.” You can also read the privacy or license agreement. 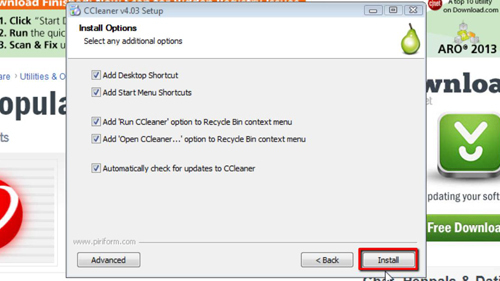 In the next section, which is “Install Options,” select the options you want, and then click “Install.” The program will install, and you will then be taken to a page called “Completing the CCleaner v4.02 Setup.” Click “Finish” to close the window. Double click on the Ccleaner icon on your desktop. A window will pop up in the center of the screen. At the bottom of this window, click “Analyze” so the program can analyze the files on your computer. Once it is done, you will see a message called “Analysis Complete.” You will now be shown the files to be removed, as well as the file size. Click “Run Cleaner,” and a box will pop up warning you that the files will be permanently deleted. Click “OK” to continue. 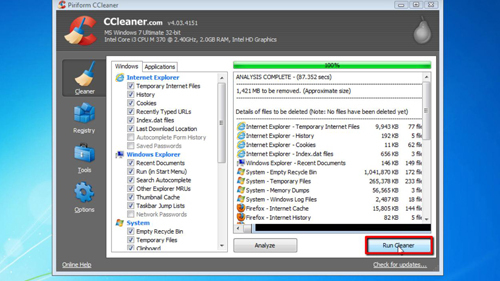 When it is done, you will receive a message called “Cleaning Complete.” This is how to to run windows 7 registry cleaner.